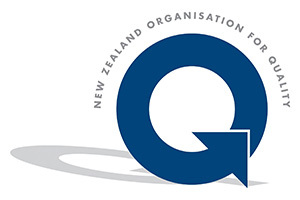 The Postgraduate Diploma in Quality Systems is unique in New Zealand, one of a group of tertiary-level qualifications offered by Massey University. In this programme you will learn about quality management theory and practice. You will gain the knowledge and skills to enable you to become a manager with quality throughout the whole organisation as your goal. It is a year-long programme (full time) or can be studied over a longer period part-time. This programme covers the concepts and methods of quality management as a holistic framework and the contribution of various disciplines to the whole. contemporary quality thinking and methods including statistical thinking, systems thinking, Business Excellence, lean and six sigma improvement. leadership in the context of modern organisational systems. Courses include quality management, statistical methods for the key methodologies, service quality, quality and people and supply chain systems analysis. You will undertake an in-depth quality assurance project. See ‘planning’ tab for detail on all courses. You will benefit from your lecturers’ real-world experience and continual involvement in research and academic debate around key quality issues. Award-winning, they are widely published in key international journals, including a staff member who is an associate editor of the international journal Total Quality Management and Business Excellence. Their experience includes senior roles in industries as varied as oil and gas, engineering, IT, the electrical utility industry, project management and of course quality assurance. The Postgraduate Diploma will help you develop into a manager with an appreciation of the various functions that co-exist and inter-relate in a quality organisation. It does not attempt to develop a detailed understanding of technical quality functions. Instead, you will graduate with the practical awareness and broad appreciation of the role of such functions. You will be able to interact with and use them in an informed and effective manner to help control and improve manufacturing or service-oriented processes. Students of the post graduate diploma include laboratory technicians, nurses, administrators, quality managers, business excellence and business improvement managers. They come from a wide range of sectors including manufacturing, services, health care, local government, construction and the defence forces. This programme is available via distance learning meaning that you can fit study towards this qualification around your work and lifestyle commitments. This programme is endorsed by the New Zealand Organisation for Quality (NZOQ) and the UK Chartered Quality Institute (CQI). You could be employed in a huge range of industries and professions, including manufacturing, services, health care, local government, construction and the defence force. Young masters graduates earn 86 per cent more than the national median.